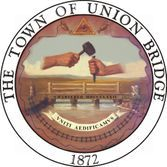 Welcome to the official website for the Town of Union Bridge. Union Bridge is located in the heart of the Piedmont Plateau on the western edge of Carroll County. The gently rolling terrain and meandering streams offer outstanding rural scenes at every turn in the road. Settled as a farming community well before the Revolutionary War, Union Bridge was chartered by the Maryland General Assembly on May 2, 1872. The town’s leading industries are the Lehigh Portland Cement Company and the Maryland Mid-land Railroad located on North Main Street. Visit our "History" page for more information about our small and beautiful communities past. The town's Code of Ordinances (pdf) and the Union Bridge Town Charter (pdf). RECYCLING NOTICE: Residents should review the new "Plastic Bag Flyer" in relation to the use of plastic bags for recycling. This issue takes effect immediately. Site pictures at St. Mary's University in Emmittsburg, MD. Hughes Trash Removal: Trash and Recycling pick-up days are on Wednesdays. Check here for the "Holiday Trash Pick-up Schedule"
A new service is being provided by Trout's Market that provides delivery of food items to the area. For more information, see the flyer here. You can contact our staff or your elected officials by email below.